Browning Hi-Power Wood Grips (Checkered With Logo) - Vintage Gun Grips - Reproduction Pistol Grips, Buttplates and Grip Caps. 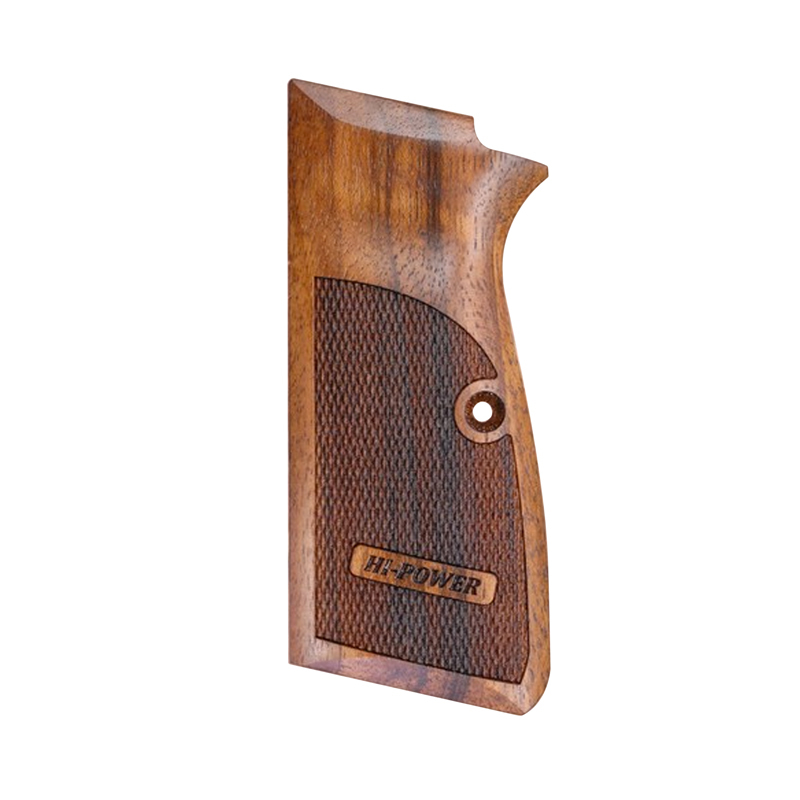 These fine wood grips fit the Browning Hi-Power. They also fit the FEG PJK-PHP. Does not include a relief for a lanyard ring. Made from French or English walnut with an oil finish. Checkered with HI-POWER engraved on each side.